WILLIAMSPORT, Pa. – With a recruiting class that features eight all-state selections and 54 members, the Lycoming College football team has reloaded for the 2016 season as it looks to step back into contention for a Middle Alantic Conference title, ninth-year head coach Mike Clark announced on Monday, July 11. The Warriors welcome three all-state players from Pennsylvania, two each from Maryland and New Jersey and one from Delaware. Defensive linemanBryce Charles (Jersey Shore, Pa./Jersey Shore Area) leads the group, as he was a two-time Pennsylvania Football Writers Class AAA and two-time second-team all-state pick from the Pennsylvania Football News. Running back Keith Batkowski (Montoursville, Pa./Montoursville Area) was a Pennsylvania Football Writers Class AA selection and a first-team all-state pick from the Pennsylvania Football News and offensive lineman Nick Bonsell (Tyrone, Pa./Tyrone Area) earned honorable mention all-state accolades from PFN in 2015. In New Jersey, linebacker Sam Pawlikowski (Southampton, N.J./Seneca) was a NJ.com Second Team All-Group 3 selection and linebacker Nick Gargiulo (Freehold, N.J./Colts Neck) was a Third Team All-Group 4 pick. Quarterback Jake Silverman (Olney, Md./Blake) earned Honorable Mention Big School All-State accolades and offensive lineman Alex Schulthies(Baltimore, Md./Eastern Tech) was an Honorable Mention Small School All-State selection in Maryland. Offensive lineman Angel Guerrero (Newark, Del./Newark) earned third-team all-state honors from the Delaware Interscholastic Football Coaches Association and he also played in the state’s Blue-Gold All-Star game, scoring a key touchdown for the Gold team in the game. Defensive linemanNate Lash (Clearfield, Pa./Clearfield Area) also earned a major honor when he was selected for inclusion in the Pennsylvania State Football Coaches Association East-West game, playing with the West team. In total, the incoming class features three quarterbacks, seven running backs, one fullback, two tight ends, six wide receivers and 15 offensive linemen. On the defensive side, the team welcomes three defensive backs, four linemen and 11 linebackers. In addition, the team also welcomes two kickers. 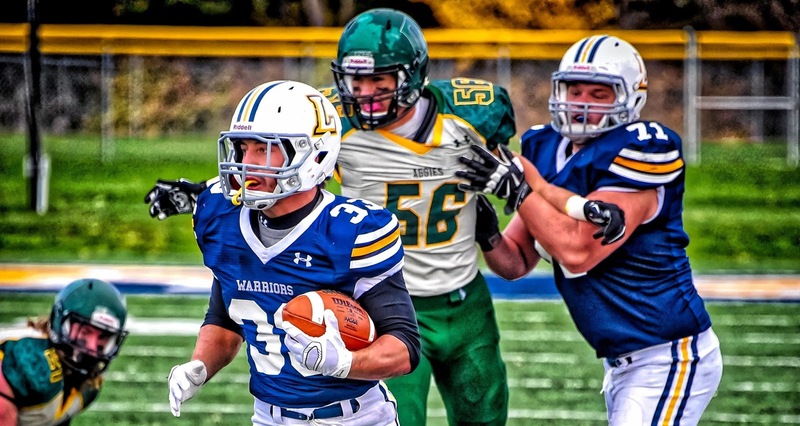 The Warriors finished 2015 with a 4-6 record and 4-5 in the MAC. 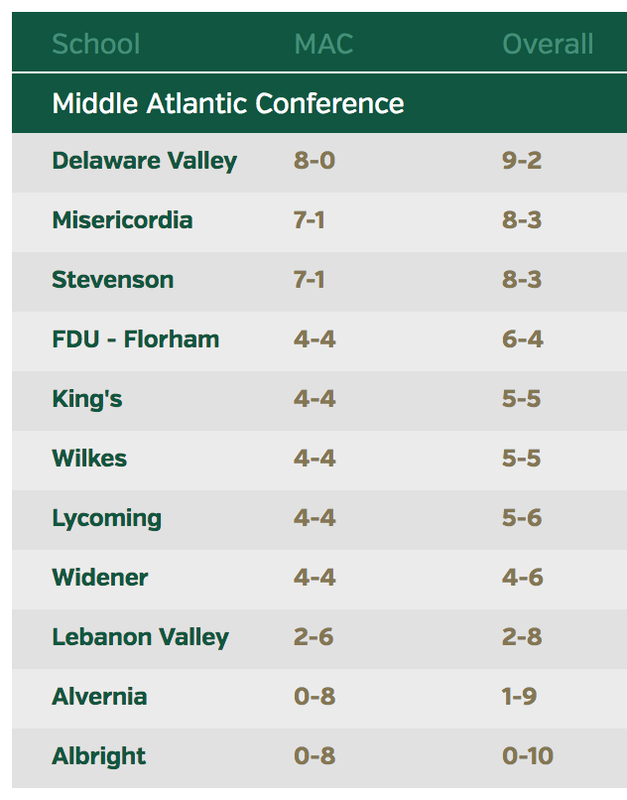 The team won three of the last four games of the year, including a 42-41 win over 19th-ranked Delaware Valley and featured five all-conference selections. The Warriors open the 2016 season on Saturday, Sept. 3, when they host rival Susquehanna University for the Stagg Hat Trophy game at 1 p.m.